1. 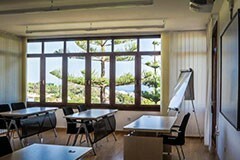 The Marbella International University Centre started up its project after the approval of the adjudication of the public contest convened by the Council of Marbella in November 2012. 2. Despite the interest expressed by other companies, MARBELLA INTERNATIONAL STUDIES CENTER S.L. was the only company which fulfilled all the obligations stipulated in the Statement of Conditions of the public contest. 3. Once the concession was awarded, the relevant administrative procedure was presented to the Junta de Andalucía (Andalusian Government). This procedure followed the usual process, with the corrections, clarifications, complements and discrepancies that may arise in any administrative procedure. Notwithstanding the foregoing, the project counted on the collaboration of the Junta de Andalucía (Andalusian Government). 4. The investment has been completely private and no public grants nor public funding has taken place in the process. The commitments undertaken for the sustainability of the project, in terms of investment, not only have they been accomplished but have also been duplicated. Therefore, besides the consequent revaluation of the property, which will revert to the Council once the concession is over, from 2014 this educational project is providing a transforming value to the city. 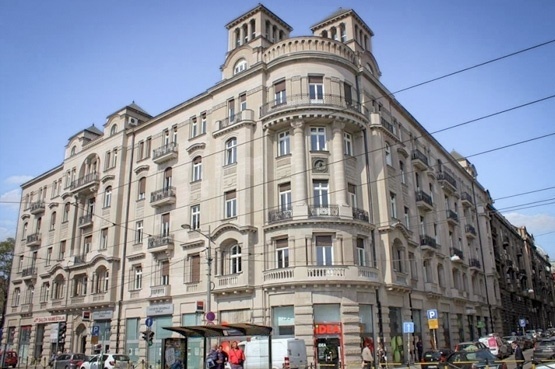 The annual fee stipulated to the project of our centre rises - according to what is literally said in the Statement of Conditions - to 54.891 € (1,5% of the property value - 3.659.400,47 €), whose base in the valuation of the property was conducted by the Technical Service of the Patrimony on the 4th of July, 2012. In that valuation, the high investment made was not included. Furthermore, the fee will rise in the second and following years according to the increase in the National Consumer Price Index, published by the National Statistics Institute, or any other index that may replace it. 5. MIUC is a company committed to the quality of its professors and to this innovative educational project that may help Marbella and its region to be considered as a reference in the educational area of degrees and post-graduate courses. MIUC ensures the right to education to all the students. Besides counting on the local community, our goal is to reach about 80-90% of international students that would increase the number of visitors to Marbella with relatives and friends. The balance between expert professors and highly qualified professionals that enrich the theoretical and practical student education is addressing the professional sector as well, at a global level through the development of competences, aptitudes and real-life situations within top-end facilities that use state-of-the-art technologies. From the start, each one of our students has been provided with a 24h assistance service and a tutor that helps them in terms of academic and professional advice, motivation and development of their potential. All our study programmes are adapted to the European Higher Education Area and the Bologna Plan. Thus, all the programmes and courses match the European Credit Transfer System (ECTS), entirely approved by the European Union and transferable to all the Universities in the European Higher Education Area. Moreover, supported by the professional sector, these study programmes are innovative and cover all the needs of the new professional areas in an ever-changing global world. Therefore, we strongly agree with the multicultural spirit and the cross-border exchange philosophy the Bologna Plan offers. MIUC is a centre affiliated to the University of Singidunum in Belgrade that counts on collaborations with other European countries and Japan. 6. To date, our centre provides direct employment to 40 people and indirect employment to other 200 people, helping to improve the economic conditions of the citizens in other than summer periods. We remain true to our commitment regarding the quality of the education we offer. 7. Our centre wants to rely on all elements of local society, so that together we can build a committed and active university community. We remain and always have been open to offer every explanation about our circumstances to any interested party. Moreover, we are puzzled with both the lack of accuracy in most of the information published in several media about MIUC, as well as the use of this project as a matter of political showdown. Our goal is to reach a sustainable business project that generates values to our students and employees. Making this project become a reality remains an exceptional opportunity for the local community. This website is owned by Marbella International Studies Center, S.L., addressed at Ave. Don Jaime de Mora y Aragón, Finca El Pinillo 29601 Marbella and Fiscal Number ID B93225472, registered at Registro Mercantil of Málaga, Volume 5079, Book 3986, Folio 13, Page number MA-116081. Marbella International Studies Center, S.L. E Mail: info@miuc.org La titularidad del presente sitio web corresponde a Marbella International Studies Center, S.L., con domicilio social en Avenida Don Jaime de Mora y Aragón, s/n Finca El Pinillo 29601 Marbella y CIF B93225472. Inscrita en el Registro Mercantil de Málaga, Tomo 5079, Libro 3986, Folio 13, Hoja Número MA-116081.